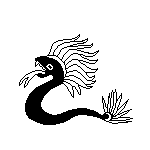 Not sure if I'll have time to finish this, but started some line art for Quetzalcoatl. Haven't pixeled in a very long time! I guess since this is my first time doing a challenge, I should post a WIP here. I'm doing nut the sky goddess. I'm going to continue tweaking on the anatomy and such.